It All Adds Up | Features | Kids VT - small people, big ideas! Teachers aren't the only ones who can spark kids' interest in math and science. There's a lot you can do at home to help. We compiled this list of tips after talking with: Jennifer Gray, a fifth-grade math teacher in Roxbury; John Canning, president of the Vermont Software Developers' Alliance and CEO of Winooski-based Physician's Computer Company; Beth Krusi, marketing director of the Montshire Museum of Science; and Gail Hall, Vermont's science assessment coordinator. 1. Don't let your kids hear you say, "I'm not good at math" or "I hate math." Teachers taking part in the Vermont Mathematics Initiative say this is a pet peeve. Gray hears this refrain from parents at parent-teacher conferences. "I say, 'I would really appreciate you not saying that in front of your child. You're teaching your child not to like math.'" 2. Get outside, says Canning, "Go for a walk," he advises. "You just have to keep your eyes open, and ask, 'Why is this here?' 'Why is that over there?'" Get kids in the habit of noticing things about the world around them and thinking about the way things work. 3. Don't feel like you have to have all the answers. Kids of all ages ask questions that parents aren't prepared to answer. Instead of shutting them down or making something up, try investigating the solution, says Krusi, "Say, 'I don't know the answer, but let's figure this out together,'" she advises. 4. Invite kids to tinker. Hall recommends providing some common household items — duct tape, a wooden spoon, clothespins, etc. — and asking kids to build something to do a certain job. Or encourage them to investigate how things work. "If your child takes apart your alarm clock and tries to put it back together, hooray!" she says. 5. Buy a science kit or something kids can learn to use on their own. When Canning was 11, his dad bought him a Hewlett-Packard programmable calculator. "He gave me the manual and said, 'Here, see what you can do with this.'" A couple weeks later, Canning says, he was writing programs for his dad's coworkers, engineers at IBM. For a 9- or 10-year-old, Canning recommends the Lego Mindstorm NXT robotics kit. 6. Visit museums and nature centers. Vermont has several science and natural history museums, including ECHO Lake Aquarium and Science Center, the Montshire Museum, Billings Farm and VINS Nature Center. Interactive exhibits and animal encounters can spark kids' curiosity and sense of wonder about the natural world. 7. Foster creativity. "We don't want cookie cutter," says Hall. "We don't want cookbook." Students from China may score higher in math, she says, but they're not as creative as American kids. It's why so many Asian students come to the U.S. for post-secondary education. Students who can tackle a problem creatively can see solutions that more rigid thinkers miss. 8. Introduce kids to music. Canning played the bassoon growing up and was involved in the Vermont Youth Orchestra. As an adult, he's been a VYO board member and is currently the president of the Lake Champlain Chamber Music Festival. He says nearly all the computer programmers he knows have some kind of musical passion. "The process composers and programmers go through is very similar," he says. 9. Teach good habits. Hall emphasizes perseverance and always trying your best. "Many times in school today," she suggests, "kids are happy with the first draft." Don't let them be, she says. Push them to think critically about their own work and embrace revisions. 10. Help kids figure out what they're good at, then get out of the way. Canning says you don't necessarily need to find lots of extra educational opportunities for your kids. "A good programmer, they don't need to go to a class," he says. "They just figure it out themselves." Sometimes all they need is a little support. Canning knows one 11-year-old, for example, who asked for $100 for his birthday. He'd created his own iPhone apps and needed $100 to open an account to sell them on iTunes. "Listen to their passion," Canning offers. "Go with that." Most young kids aren't yet aware of this, but the job market that awaits them is not so great. Nationally, the unemployment rate is hovering just below double digits, with chronic unemployment as high as it's been since the Great Depression. The numbers aren't as bad here in Vermont, but the picture still isn't rosy, especially in some sectors — just ask a dairy farmer or a factory worker. Many of the jobs and business opportunities that are available require more computer, math and science skills than the ones that existed a generation ago. Employers at Vermont's most successful companies lament they can't find qualified in-state workers. To thrive in this increasingly technology-oriented society, students in grades K through 12 need a solid foundation in science, technology, engineering and math education. STEM education is relevant to nearly every field, from computer programming to graphic design, from biotechnology to sociology. And it's not just about performing experiments in a laboratory and solving equations. 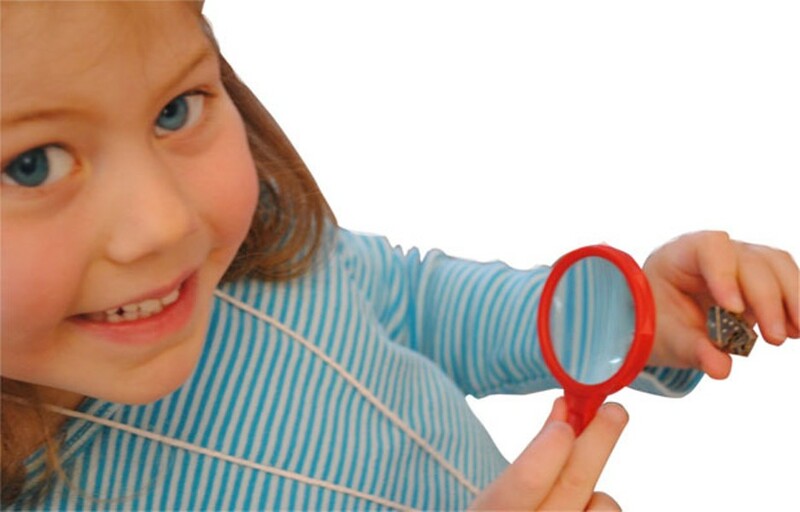 These subjects teach kids to think critically, analyze data and improvise solutions to problems. According to standardized test scores, U.S. students are currently trailing their international peers in STEM. That's bad news when so many companies can hire or do business with workers anywhere in the world. A report released in August by a Harvard University professor — "Globally Challenged: Are U.S. Students Ready to Compete?" — found that students in 31 countries beat U.S. students in math proficiency. Just 32 percent of U.S. students were proficient. The top scorers? Shanghai students, 75 percent of whom made the grade. Vermont students were the third-highest scorers in the country, yet just 41 percent of them are proficient in math. That puts them behind kids from 14 countries, including Japan, Finland, Germany and Canada. Drilling down into Vermont's test scores reveals that results vary widely from district to district. That's true of science scores, too — the percentage of students excelling in that subject on statewide assessments is appallingly low. Plenty of parents today marvel at their kids' ability to navigate the Internet. Everybody brags about how their toddlers have figured out how to use a smartphone. But can those kids explain how the phone works? Will they be able to design and build one? Vermont educators are tackling this challenge in myriad ways. Here's a closer look at two efforts that seem to be gaining traction. 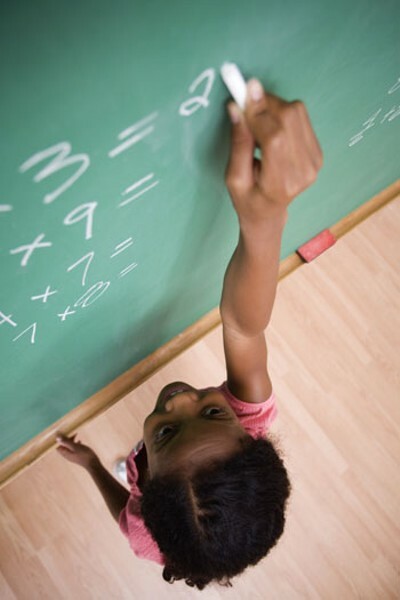 Before students can delve into science, they need to understand math. University of Vermont mathematics professor Kenneth Gross describes his discipline as the "gatekeeper" to the sciences. The slight but sprightly professor is a kind of math evangelist who's developed an innovative approach to improving students' math skills: In 1999, he and a group of other mathematicians founded the Vermont Mathematics Initiative, a partnership between UVM and the Vermont State Department of Education that focuses on training K-12 teachers. "I can't reach 10,000 Vermont kids [directly]," Gross explains. "But through the people I teach, I can reach 10,000 Vermont kids." VMI has two components: a three-year master's degree program that turns out "mathematics teacher leaders" and a district implementation program, added in 2006. That program uses the teacher-leaders to bring their knowledge back to their schools by having them coteach classes with VMI faculty, who are instructors from Johnson State, Middlebury College, Green Mountain College and other schools. VMI participants attend daylong math classes for two weeks in the summer and one weekend a month during the school year. At a recent Saturday session on UVM's Trinity College campus, several participants compared it to being in the National Guard. The 25 alert and enthusiastic teachers in the Functions and Algebra II class ranged from mid-career professionals to twentysomethings a couple years out of school. They came from all over the state, representing grades K through 12. Despite the presence of high school teachers, VMI is really aimed at building skills in educators who work with grades K through 8. As Gross explains, students don't fail calculus in high school or college; they fail in elementary school. "Calculus is where the rubber hits the road for the arithmetic you learn in first, second, third grade," he says. "The primary teacher is the most important mathematics teacher. All of mathematics depends on the mathematics you learn in the primary grades." The problem, he explains, is that many elementary and middle school math teachers don't spend much time studying math. Teacher training programs, he says, "emphasize more the methodology of teaching rather than the content." Aspiring teachers may only take one or two math classes; there are no math prerequisites for VMI. "No amount of pedagogy, no matter how strong, in the absence of content knowledge, is going to make a great teacher," Gross politely insists. "We go into fundamental mathematics more deeply than most teachers have ever been exposed to it." Indeed, some of the adult students struggle with the "snowball problem" that Gross presents: "A snowball is tossed in the air from the top of a tall building. From the time that it is thrown until the time it hits the sidewalk near the entrance of the building, its height above the sidewalk is given by h = h(t) = 150 + 50t - 16t2, where 't' is measured in seconds and height is measured in feet." They have to figure out the height of the building, the maximum height of the snowball and the time it takes for it to hit the ground. There are various ways to arrive at the solution, as the teachers demonstrate when they present their answers to the class. Jennifer Gray, a fifth-grade teacher from Roxbury, is the first to explain hers — FYI, the building is 150 feet tall. After she sketches out her correct solution, she asks, "Questions? Comments? Concerns? If it were my classroom," she adds, "'I'd say, 'Any beef?'" After a short discussion of her method, she admits, "I don't know what kind of formula this is. What kind of formula is it?" Several voices in the room pipe up: "Quadratic function," they answer. Gray won't be teaching anything quadratic to her fifth graders, but, as she explains, "It makes a world of difference to know where they're going in the future." Gross makes that point with an analogy: If you were hiring a reading or writing teacher, would you want someone who had only read See Spot Run or someone familiar with Shakespeare, the Bible and the great poets and novelists? If you don't know where students' skills are going to take them, "you don't know enough," he says. So far VMI's master's program has churned out more than 300 graduates, who represent over 90 percent of the districts in Vermont. Formal evaluation of the program started in 2004, and studies have shown that VMI grads do make a difference. Gross points to a six-year study that showed gains in student achievement, particularly in narrowing the gap between students who are eligible for free and reduced-price lunches, and those who aren't. VMI has gotten national press, and has spawned teacher training programs based on its model in Illinois, Massachusetts, Nebraska, New Mexico, Wyoming, Tennessee, Arkansas and Ohio. In 2006, the Intel Foundation commissioned Gross to develop a national program for teacher training based on VMI. More relevant to Vermonters is the fact that teachers here are finding it useful. Antony Dennis, a seventh-and eighth-grade math teacher at Edmunds Middle School in Burlington, started VMI this summer. "I'm already using things I've learned in the classroom," he says. Chris Kline of Essex has two sons, ages 12 and 13, who love to play video games. But Kline has discovered something that can compete for their attention: building robots. This summer, his sons were two of 14 students who attended the first robotics camp for soon-to-be seventh, eighth and ninth graders at Essex High School. They spent a week constructing and programming robots using Lego Mindstorm NXT kits. Kline says it really engaged his older son, Robert. Since the camp, Robert has subscribed to Make magazine and is reading articles in Popular Science. "He's finding videos of kits on YouTube and saying, 'Hey, Dad, this is cool. Can we get this?'" The camp is part of the growing robotics program at Essex High School. Veteran science teacher Joe Chase oversees the initiative, which also includes a robotics class and a competitive robotics club. In addition to teaching science, Chase has a new title: learning community leader for STEM education; Essex High School is developing a STEM Academy that will recognize and promote student achievement. It's a natural fit for Essex, which is home to an IBM plant. "Employees are parents," notes Chase. Chase traces the robotics program's origins to a group of students who were "really interested in innovation and invention." Nine years ago, they found a grant through MIT and asked for his help in applying for it. They built a robotic tennis-ball retriever with the $7500 grant they received; that launched the program, which has now grown to include 25 LEGO Mindstorm NXT kits. The club formed to compete in the FIRST robotics competition, an annual event started by entrepreneur and technology champion Dean Kamen. Each year, FIRST issues a challenge, and students use their kits to build robots that will complete it. They enhance their entries with aluminum gears and other components they make themselves. Chase says this year's challenge involves making a machine that will navigate a course and complete tasks such as picking up racquetballs filled with magnets. He hopes to bring his kids to two meets, both out of state; last year, they only made it to one, and placed second in northern New England. It sounds a bit like "Glee," with schematics instead of showtunes. There are a lot of reasons why robotics is so exciting, Chase explains. For one thing, it gets kids working in a three-dimensional space instead of a two-dimensional, virtual one. Chase says that helps them understand the concept of design, and the reality that "designs rarely work the first time around." In other words, you have to learn from each iteration to achieve the goal. "For our young people," he says, "whether it's in engineering or designing social programs, that spirit of design innovation has to be central in our education plans." Robotics also appeals to a broad range of kids. "Some students are really good at the building part," he explains. "Some students are really good at the programming part. Some students are into the design. "We're not talking about the most gifted and high-SAT students," he adds. "We're talking about all students. This gives them the opportunity to demonstrate their skills and build those skills outside a mainstream classroom." Not only that, but the group nature of the activity means that students who might not have known each other before have to collaborate creatively. Students in the robotics class aren't pitted against each other. And though the robotics meets are competitions, he says, they're also purposefully infused with collaborative elements that require opposing teams to work together. Gail Hall, the science assessment coordinator for the Vermont Department of Education, agrees that robotics programs like the one in Essex are a bright spot in Vermont's educational system. She's hopeful that new statewide science standards, on the horizon in the next few years, will bring more engineering thinking into the classroom. In September, the department announced that Vermont will be one of 20 states that will help develop the national Next Generation Science Standards. There is a huge need, says Hall, "for flexibility, for thinking outside the box, for students to think broadly and deeply." Chase, too, would like to see more robotics programs in Vermont; there are similar programs already at Brattleboro High School and St. Johnsbury Academy. The camp for middle schoolers that he and his students ran this summer drew kids from all over Chittenden County, and one from Franklin County. "Our message to them," he says, "was 'Go back and talk to your teacher, talk to your parents. Let's find a way for you guys to get involved in this also.'" Chase points out that young people "aren't hearing great news about their future." Learning how to build machines to solve problems offers them an opportunity to be creative, to exert some control over their destinies. Can't take your middle- and high-school kids on a field trip to Silicon Valley? Bring them to the Vermont Tech Jam on Friday and Saturday, October 28 and 29, in the Borders building at 29 Church Street in Burlington. This career fair and tech expo is designed for job seekers, but it also gives motivated students an opportunity to learn about careers in STEM-related fields. Teens can build a Lego robot, attend technology-focused presentations, and participate in demos and activities that will inspire and engage them. Find out more at techjamvt.com.